www.nyc.govThis photo captures the contraband smuggled into the six jail facilities on Rikers Island by the undercover DOI investigator. 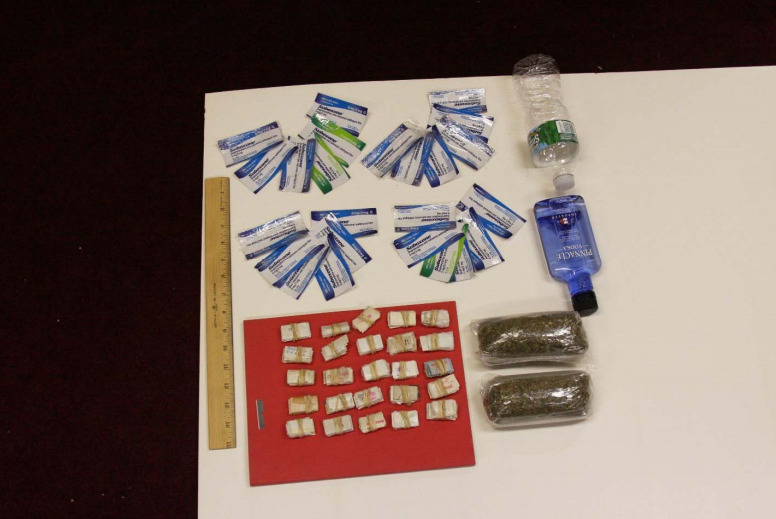 The contraband consisted of a plastic bag containing 250 glassine envelopes of heroin, one plastic bag containing 24 packaged strips of suboxone, two plastic bags containing a total weight of one half‐pound of marijuana, one 16‐ounce water bottle containing vodka (the contents of the bottle of vodka displayed was smuggled in, not the liquor bottle) , and one razor blade. Security at New York City’s infamously expensive and violent Rikers Island jail is getting a much-needed upgrade after an embarrassing undercover investigation. The undercover investigator successfully smuggled the contraband — carrying the marijuana and narcotics in his cargo pants pockets and the alcohol in a water bottle in his hand — through staff entrance security checkpoints at the Anna M. Kross Center, Otis Bantum Correctional Center, George Motchan Detention Center, George R. Vierno Center, Eric M. Taylor Center, and the Robert N. Davoren Center. The contraband was immediately secured by DOI at the conclusion of these operations. 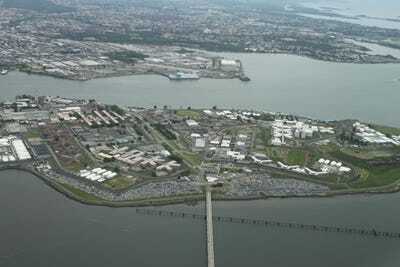 DOI estimates, based on intelligence it has gathered, that a DOC employee could make approximately $US3,600 in courier fees for the amount of contraband smuggled during each operation; and that the resale value inside of Rikers of the contraband in each instance totaled more than $US22,000. These integrity tests also exposed inconsistent security procedures, for example, magnetometers that detect metal contraband on an individual that were set at different levels at different facilities, so the undercover investigator set off an alarm in one facility, but not another; security personnel that allowed the undercover investigator to walk into the facility after triggering the magnetometer, and without emptying his pockets; and the failure to follow current protocols, for example, improperly using a transfrisker wand to examine only the investigator’s belt after the investigator said his belt triggered the magnetometer alarm. Now it’s understandable why the jail had such a problem with drug trafficking by prisoners and guards. [T]he City Department of Correction (“DOC”) has agreed to significantly enhance its security procedures, including the implementation for the first time of drug-sniffing dogs at staff entrances, the assignment of the Special Operations Division (“SOD”) to oversee security at staff entrances, and the consideration of upgrading DOC search protocols to the standards employed by the federal Transportation Security Administration (“TSA”).